Please take your child to the medical provider who does their immunizations and upon receiving the shots, send a copy of their updated shot record to their school nurse. Poll Question: Do you like the format of this webpage? If for some reason it doesn't work, click on the link below to take the survey. The Greenbrier County Health Department can provide TB tests and immunizations needed if entering WV schools for the first time. Greenbrier County elementary schools and GEHS are Universal Pre-K sites. Pre-K enrollment packets for the 2016-17 school are available at the BOE office. Please call 304-645-3505 with any Pre-K enrollment questions. Please direct other enrollment questions to Patti Burdette at 304-647-6466. Eastern Greenbrier Middle School serves students from five feeder elementary schools within the eastern portion of Greenbrier County and is one of two middle schools in the county. The building now known as Eastern Greenbrier Middle School first opened it's doors in 1992 as Eastern Greenbrier Junior High, serving students in grades 7-9. In 2005, Greenbrier County Schools were restructured, and the middle school concept was piloted by Eastern Greenbrier Middle School. Today, EGMS serves students in Grades 6-8. Enrollment generally fluctuates between 850-900 students. The mission of Eastern Greenbrier Middle School is to accept that each student is a creative individual who, with the support of the professional staff, will master the common core curriculum and progress academically as life-long learners. The EGMS staff will respect each child's individual needs and will foster a safe, caring, and creative environment that will emphasize their social, emotional, and physical development. This year's new after-school program is focused on a uKnighted education. Along with getting academic assistance, students are encouraged to explore new activities and pursue their own interest. Each student will be provided a free meal, time to complete homework and receive tutoring and the opportunity to participate in the enrichment activities listed below. 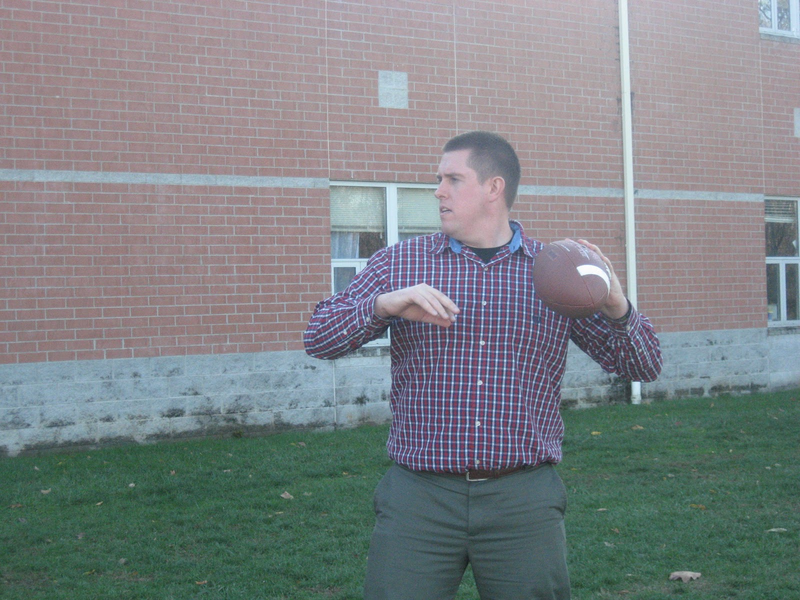 Mr. Lemons enjoying a game of football during fitness.